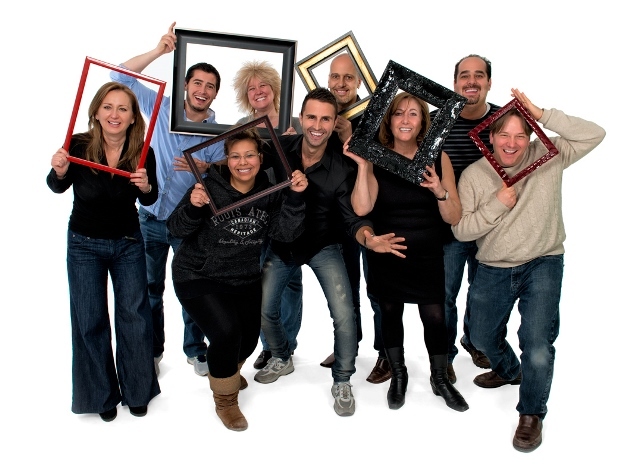 At Roma Moulding, we believe that workplace happiness is a right and not a privilege. We’re on a mission to Move, Inspire and WOW all those we connect with and are dedicated to spreading happiness around the world. If you think you can hang with us, check out our zany team! Still Reading? Need More Proof? Get your teeth cleaned, glasses and all that fun stuff! We take care of our people! Are we at work or some cool hipster watering hole down town? It’s hard to tell when you’re in our team member designed lounge. Come in, relax and stay awhile. Working at Roma is fun but we know that a couple times a year you’ll want to drag yourself away from this paradise to get a little R & R! We love learning – it’s one of our Family Core Values! So you get your learn on and we’ll help pay for it. If you’re working for us, you probably have great taste and we bet your place would look awesome with some of our stuff in it. Enjoy a discount on all our great stuff! Have you ever thought the person across the office has a cool gig? Well they do and they can teach you about it because we support your ambitions. We work hard and play even harder! Every month the Culture Team puts on wicked events such as BBQ’s, birthday parties and much more! We like to read. Readers are leaders and we are leaders. Join our team and get access to hundreds of books on a variety of topics. Are you sick of staring at your closet trying to find something to wear? So are we! Slash your dry cleaning budget and come to work in what you want. We’re a family company and nothing makes up happier than seeing your family grow. That’s why we’re happy to have you spend time with your bundle of joy! Do you ever feel like getting up from your workstation in the middle of the day, putting on some wacky gear, pumping loud music and parading around the office? Because we do that … a lot! Three times a year we shut the entire company down to perform our All Hands Meeting. They’re massive events complete with a stage, professional lighting and sound and broadcast live on-line. We want you to be part of the action! Not The Perfect Fit For You?